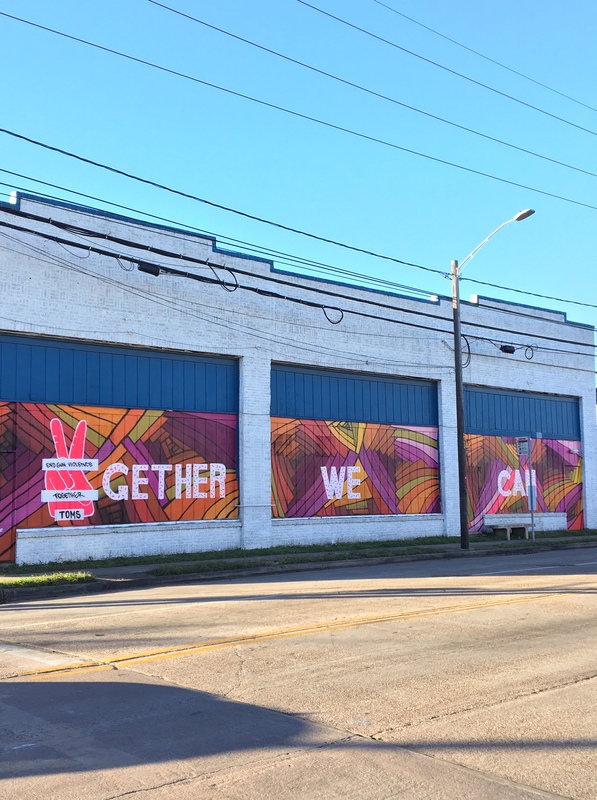 Another year brings Houston another wave of vibrant murals to decorate the city! Over the past few months, I’ve been searching, and snapping, and collecting shots of some of my favorite new murals to pop-up in the Houston, and I’m so excited to share them with you! 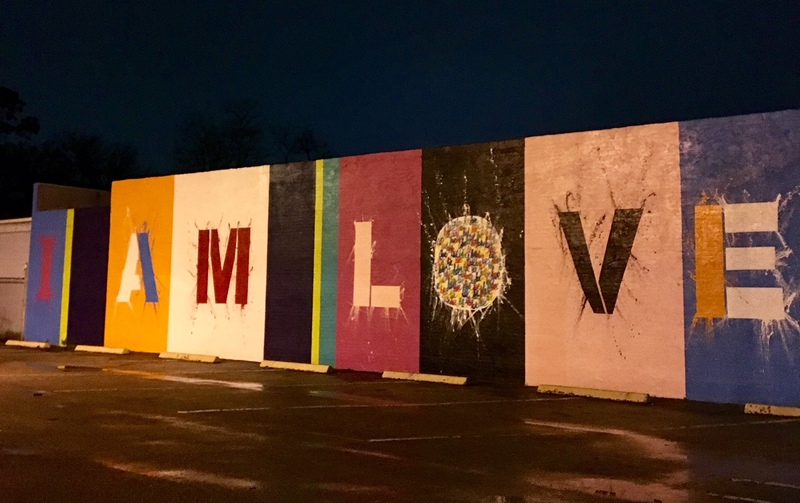 While compiling this list, the reoccurring theme across many of the artwork is love, inclusivity, and celebrating Houston history. 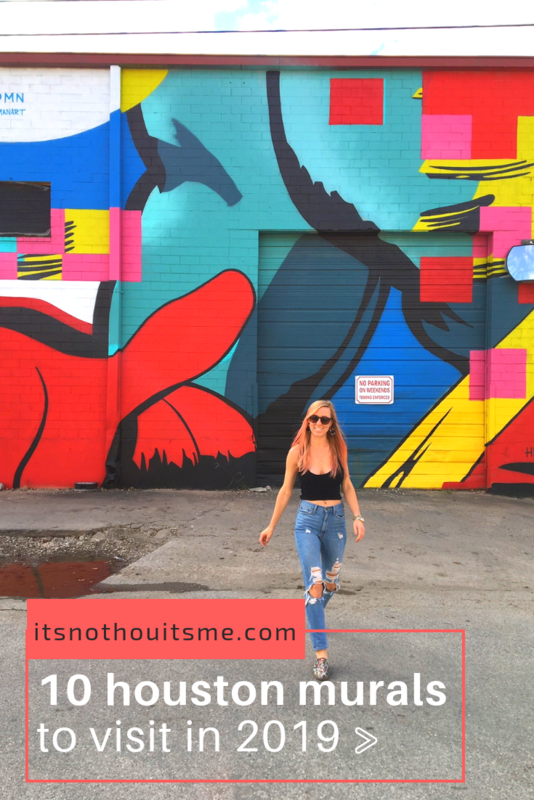 If you’re like me and obsessed with color, skylines and supporting local artists, then this guide is for you. 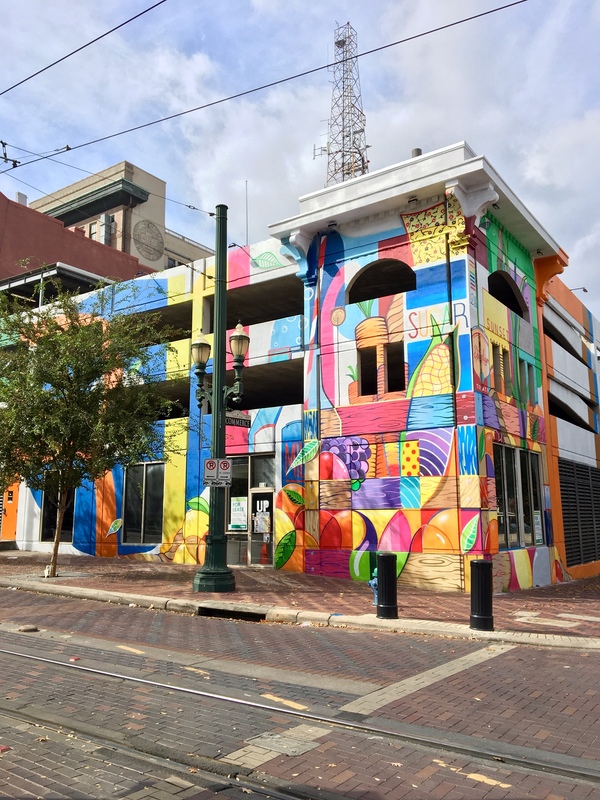 Note: while there are many, many more Houston murals that have arisen than what is encompassed on this list, here are 10 murals that are new to Houston that I think are impressive enough for a visit in 2019. Enjoy and let us know where you go and where your favorite artwork is! Want more? 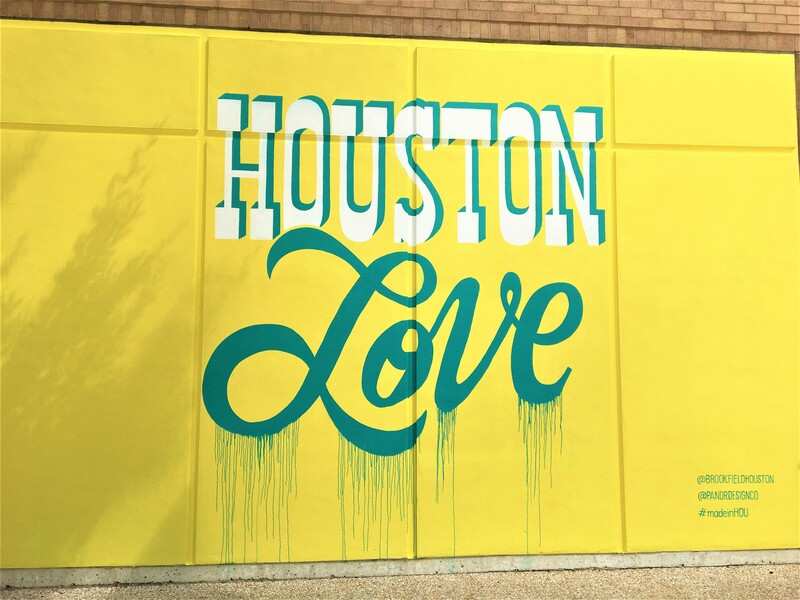 This is the latest in a series of ongoing Houston mural posts! 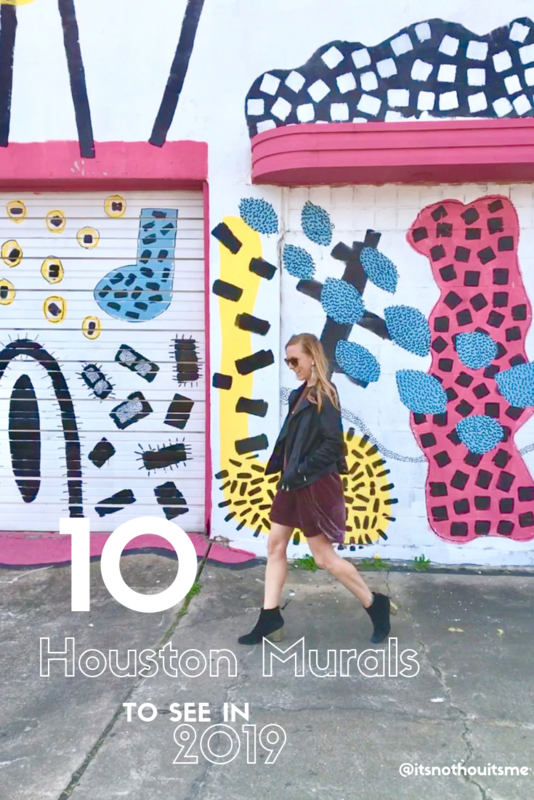 Check out our other #itsnothou posts: 10 Walls You Need to See in Houston , 10 Walls to Visit in Houston in 2017, 10 Walls to Visit in Houston in 2018 and 5 Christmas Card Perfect Walls in Houston. Also be sure to check out all of the artists on Instagram. Many of them have other paintings and murals posted up across the city and are constantly creating new creations! The #ShelbiNicole Wall. 2112 Leeland St. 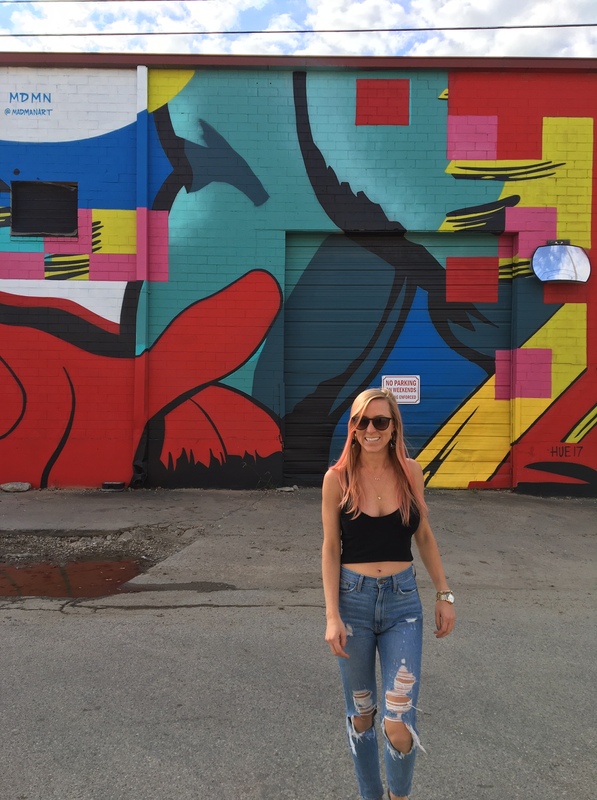 Located in the heart of the East Downtown graffiti block, this mural epitomizes the playful style of artist Shelbi Nicole (@theshelbinicole). 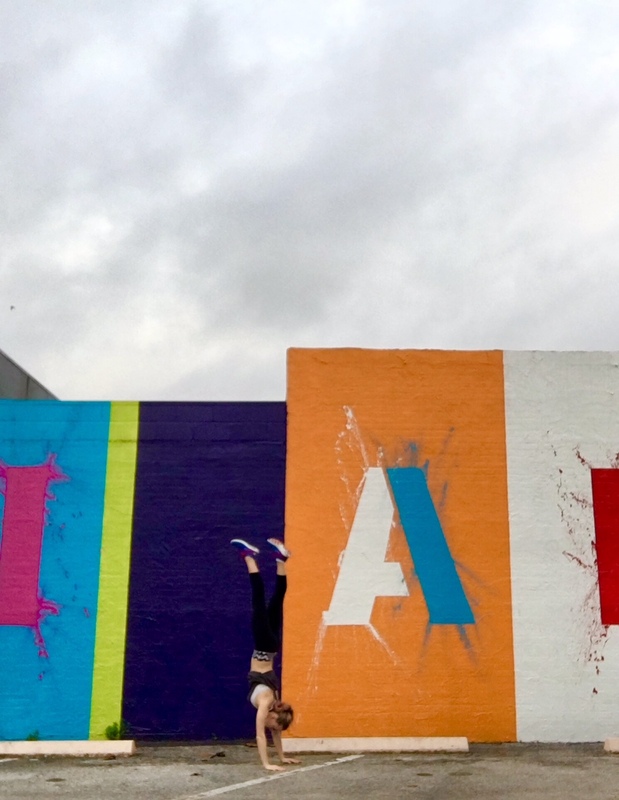 While this wall was painted with HUE Mural Fest in 2017, it’s a great one to visit in 2019 as the Houston based artist launches The Whimsy World–an immersive art experience to spark attendees imagination–all centered around this signature design! The wall faces north and there is plenty of parking nearby. Pro Tip: grab your buds and brunch at Leeland House or grab a coffee at Around the Corner and then go exploring through all the EaDo art around the block! Mad Man Wall. 1302 Maury St.. 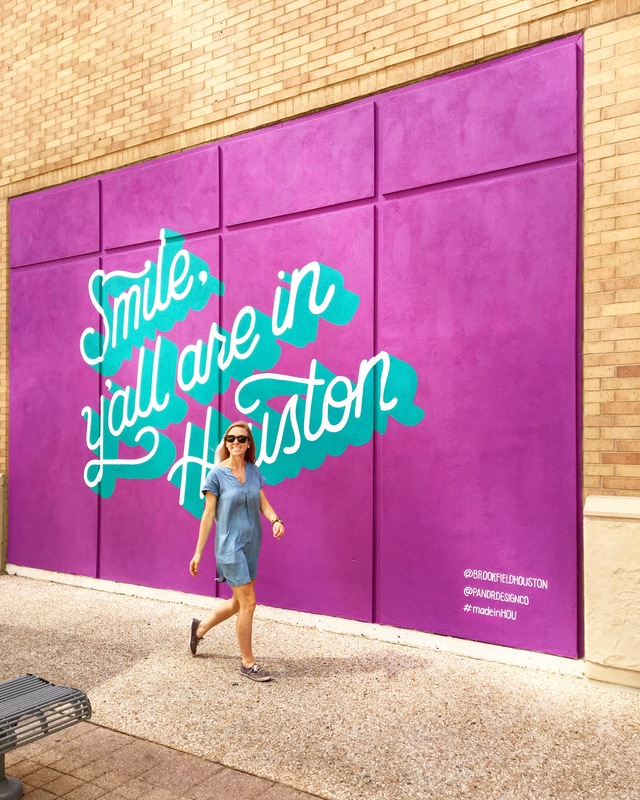 This cheerful color block mural is located in another popular stretch of art around the corner from St. Arnold Brewing Company. Painted in the 2017 HUE Mural Fest by @madmanart, the wall faces east and generally has a good amount of space around it to take pictures. According to the artist’s Instagram, he’s “painting out of [his] childhood peripherals.” Agreed! The wall emulates retro comic strips with bold strips of color. Together We Can. 1002 Taft St. Lawd knows we need a bit more positivity in the world and a whole lot less violence. Commissioned by TOMS, this mural is part of a series across America to take a stand for ending gun violence together. And I couldn’t be more on board. Hopefully, 2019 takes a turn for the best, and sharing this mural helps inspire some of that! Mural faces north and is in the shade for most of the day. Produce Row. 100 Main St. 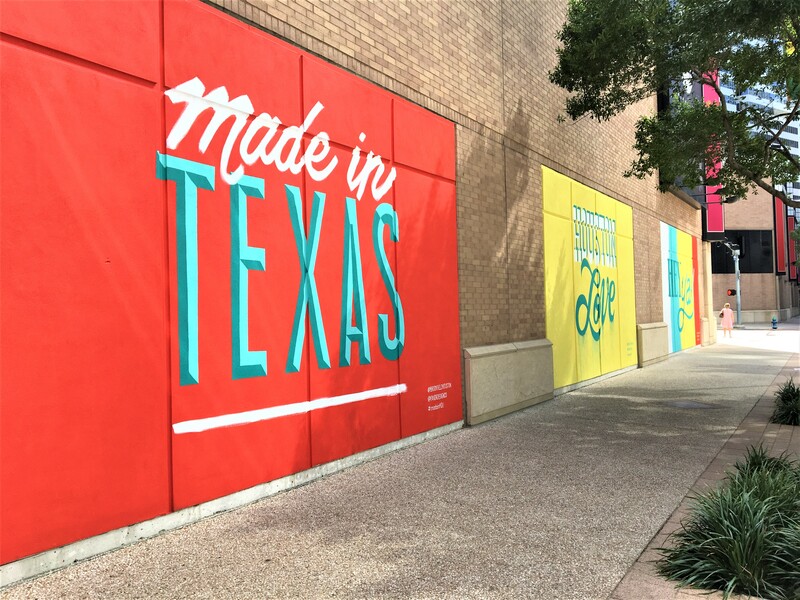 Painted on the side of historic building in Downtown Houston, this mural was commissioned by Main & Co. (a company that re imagines historic buildings in Downtown) and brought to life by @dual_streets. It commemorates the former location of “Produce Row” where all the fruit and vegetable markets in the city used to be. The mural stretches across the east and north corners of the building just of Main Street where the train line runs. Florence and the Machine. 1637 Westheimer Rd. Formerly known as the #EmersonRoseWall, this new wall has reincarnated by artist @mrd1987 as a tribute to Florence and the Machine. 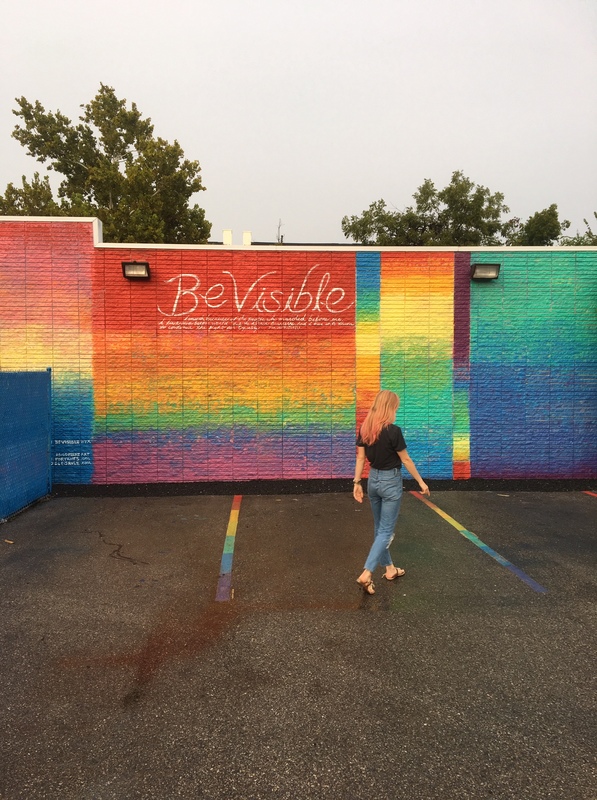 Painted on the side of Emerson Rose, one of our favorite boutiques in the Montrose, rose colored wall–so fitting for the boutique’s name–rocks five shades of pink patterned concrete on the walls and ground. Wall faces east and you can find parking on the street or behind the boutique. I dare you to take a picture at the wall and not buy something inside. Elephants! 508 Pecore St. Wanting to celebrate a friendship, a new love, or just an appreciation for elephants? Studio NiaMoves has got you covered. 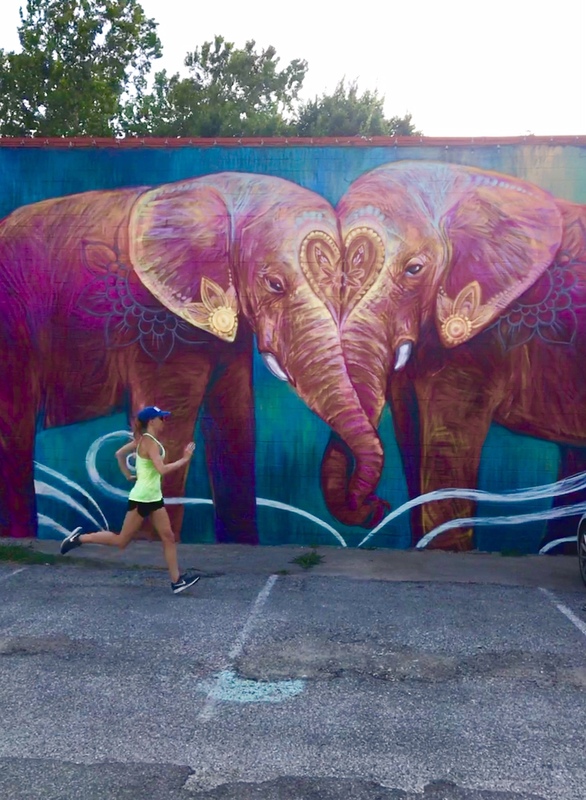 This vibrant mural sports bright pink elephants nuzzling one another with their heads touching to create a heart. [insert *awwww* here]. 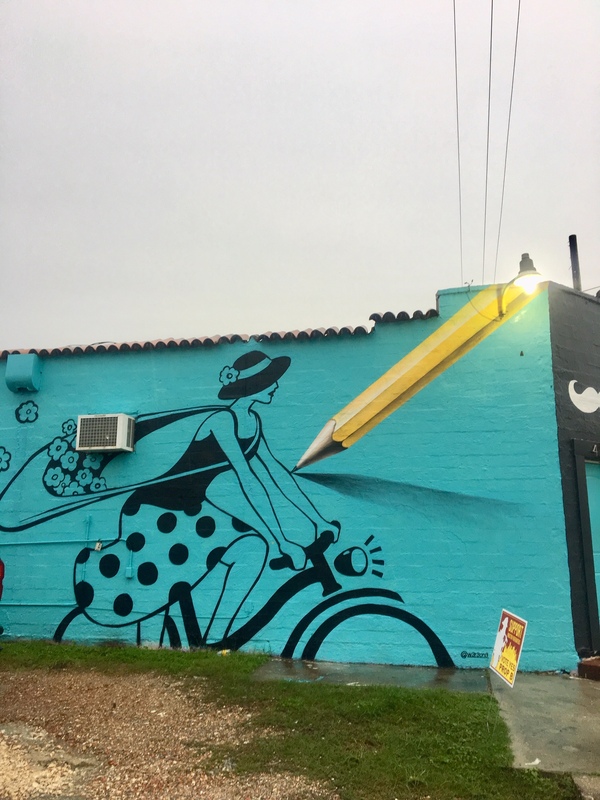 Located in the Heights and off the beaten track for murals, this wall offers the perfect excuse to visit the neighborhood nearby and the El Gato Coffeehouse (yes, there are cats inside!!! ), in the shared parking lot. Mural faces east, and I’d recommend going early or late outside business hours to avoid having cars parked in front of the mural. I AM LOVE. 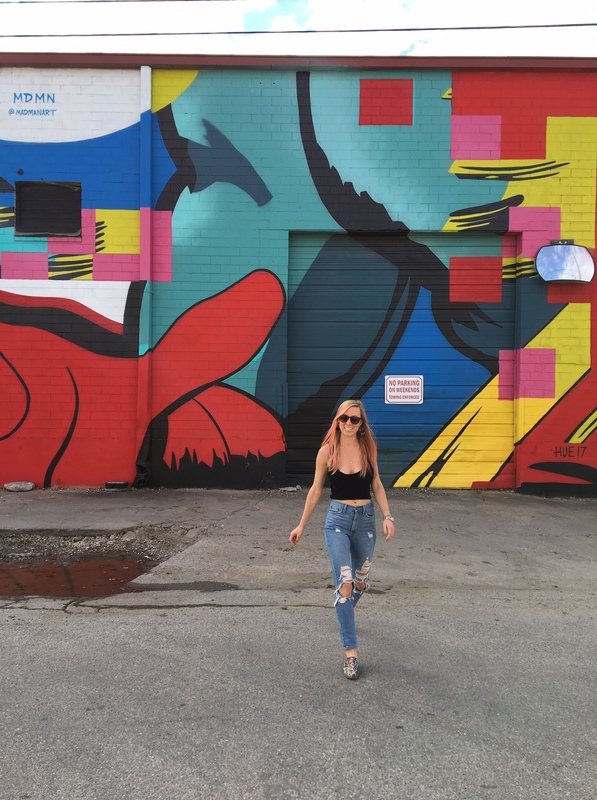 540 W. 19th St. Good luck getting a picture in front of this mural without 20894 cars nearby, but if you can go early enough on a weekend or snap a pic during a low traffic time of day, it’ll definitely be worth it–because this wall is gorgeous!! Painted by @RubenRojas as part of his #BeautifyEarth campaign, it was commissioned by YogaOne–now known as YogaWorks in the Heights. It’s bright and bold and shouts a mantra that we should all embody. The wall faces east. 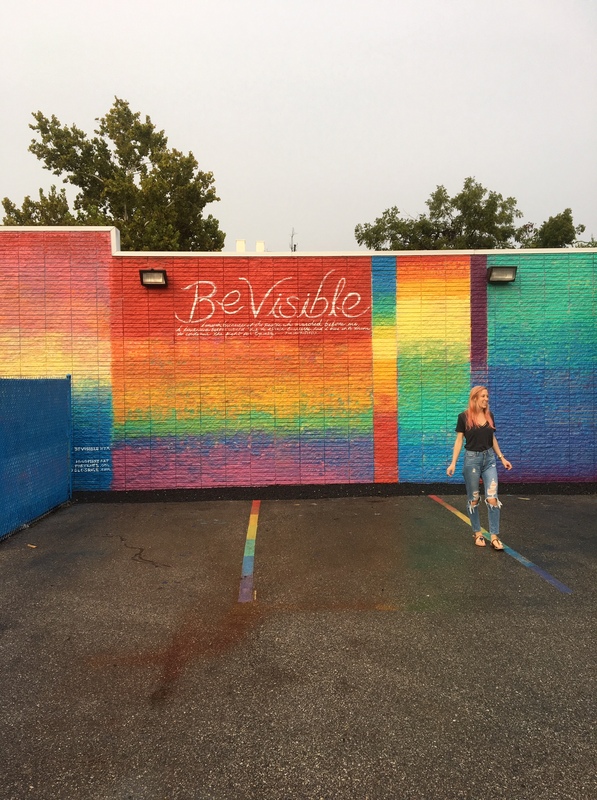 Click here to read more about the mural and YogaWorks! Woman on Bike. 4220 N. Main St. A sketch of a sketch! I wanted to include this mural on the list because it’s a bit off the beaten path and I feel like very little people have seen it, and it deserves to get some press! It’s a sketch of a sketch and nestled on the north side of Trend Setters Barber Shop off Mainstreet in the Northside. Pandr Murals 1200 McKinney St. Commissioned by Brookfield Properties, the seven Pandr murals were painted over the course of two weeks in May. There are two sets–one in cooler colors (purple, turquoise) and one in warmer (yellow, green, red). 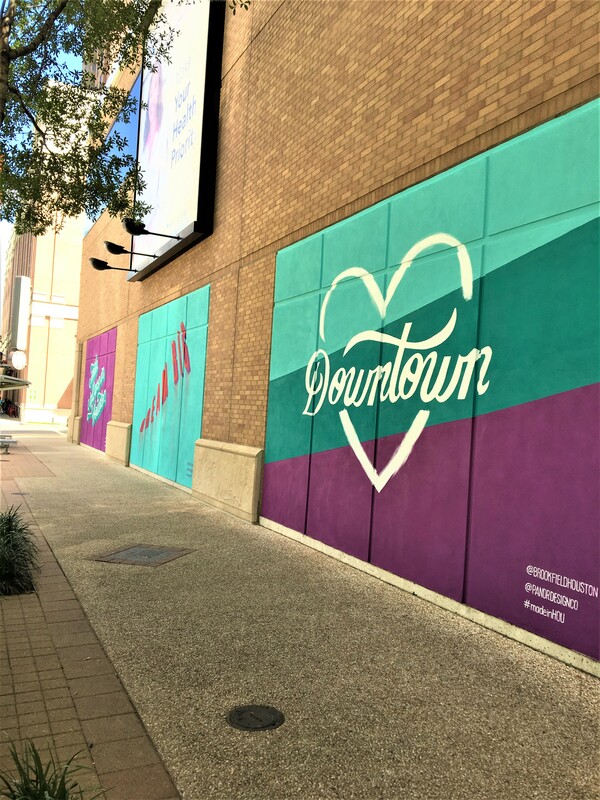 The Downtown Houston murals alternate between boasting Houston/Texas pride and being inspirational. You can find the murals on the north side of The Shops at Houston Center on McKinney between Caroline and San Jacinto. If you’re new to Downtown Houston, you can grab street parking most days for a few dollars during the day, or it’s free after 6pm and all day on Sunday. There is also free parking for customers of Phoenicia in the Phoenicia garage across the street. If you’re asking me, murals sound like the perfect excuse to grab happy hour or brunch at the MKT Bar. Bonus / For Your Viewing Pleasure: Be Visible. 602 E 20th St. 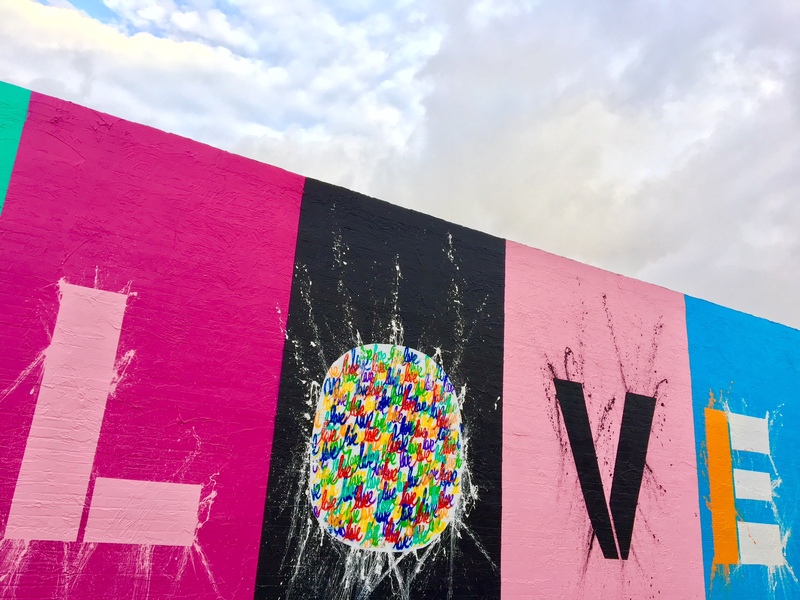 I was really hoping to include this wall in my 2019 guide, but it was recently painted over because it was the target of a hate vandalism. It faced west and was on the side of Jenni’s Noodle House in the Heights. Including it here in this guide because a) it was a lovely piece of work celebrating Houston Pride and b) everyone should go try Level 2 “Hurt Me” spice at Jenni’s and tell the owners that you support all people no matter who they love. 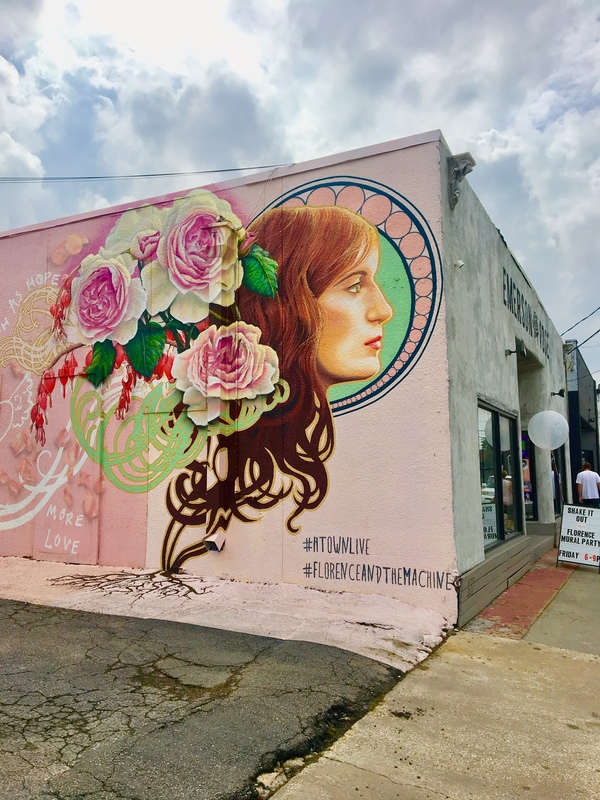 Tags: Art, Downtown Houston, EaDo, Emerson Rose, Florence and the Machine, Houston Art, Houston Heights, Houston Mural, Mad Man Art, Montrose, mural, Produce Row, Shelbi Nicole, YogaWorks. Bookmark the permalink.